Call us at (915) 630-6463 today! Our highly skilled team welcomes you. Our extensive training equips us to provide a wide array of vision services for you, from prescribing eyeglasses to performing surgery and diagnosing and treating eye diseases. Please browse our website to learn more about our staff and services. At Buena Vista Eye Care, we stress empathy and communication. Our team will keep you comfortable and thoroughly explain procedures and treatment options. We welcome questions and strive to make patients feel at home. This personal care and individualized attention is why people throughout the area come to Buena Vista Eye Care for all their vision health needs. We are happy to discuss financing options and work with your insurance provider to keep your care affordable. 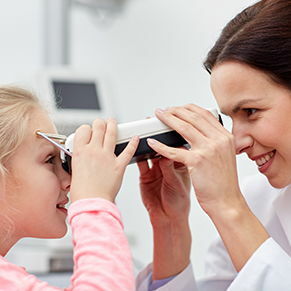 Our office offers many eye care services, from surgery to treatment of eye diseases. Talk to us general eyecare, corneal transplants. 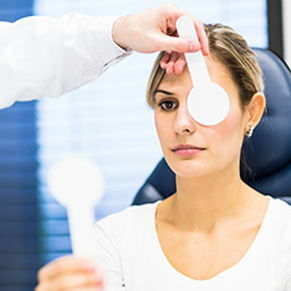 cataract surgery or glaucoma treatment, cataract lenses. 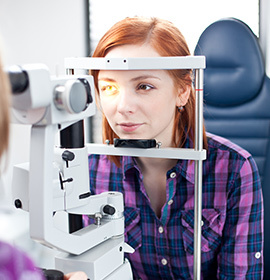 If you’re diabetic, we’d love to help you manage your eye care. 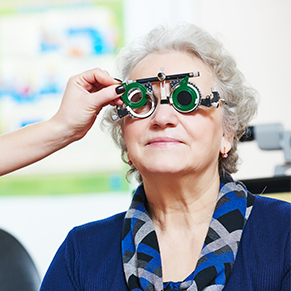 We can treat your overall eye care needs. Whatever your eye issues, we’re here to help. Call us today at (915) 630-6463, so we can help you improve your vision. We look forward to having you join our roster of satisfied patients who see the world through healthy eyes. Todos hablamos espanol. Dr. Ruben E. Ramirez is an El Paso native who attended St. Clement’s Episcopal and Coronado High School. After completing a Bachelors of Science from The University of Texas at Austin he matriculated into Temple University School of Medicine in Philadelphia, Pennsylvania. During his medical studies he was awarded a National Institute of Health grant for his research in molecular and cell biology, and a service award from the Alpha Omega Alpha Honor Society. From there Dr. Ramirez returned to El Paso to fulfill his internship at Texas Tech University Health Science Center prior to starting his residency training in ophthalmology at the University of Texas Medical Branch. After residency Dr. Ramirez went on to attain fellowship training in Cornea / Anterior Segment / Refractive Surgery at the Cullen Eye Institute at Baylor College of Medicine in the Houston Medical Center. Dr. Ramirez looks forward to returning home to serve the people of El Paso, not only as a fellowship trained ophthalmologist, but as an active member in the community alongside his beautiful wife and children. Dr. Monica V. Ramirez is an El Paso native, originally a Franklin High School Cougar. She graduated from the University of Texas El Paso with a Bachelors of Science in Chemistry. She continued her training at the University of Houston College of Optometry. She interned with Houston Eye Associates,and La Nueva Casa de Amigo Optometry Clinic in the heart of Houston’s Medical Center. 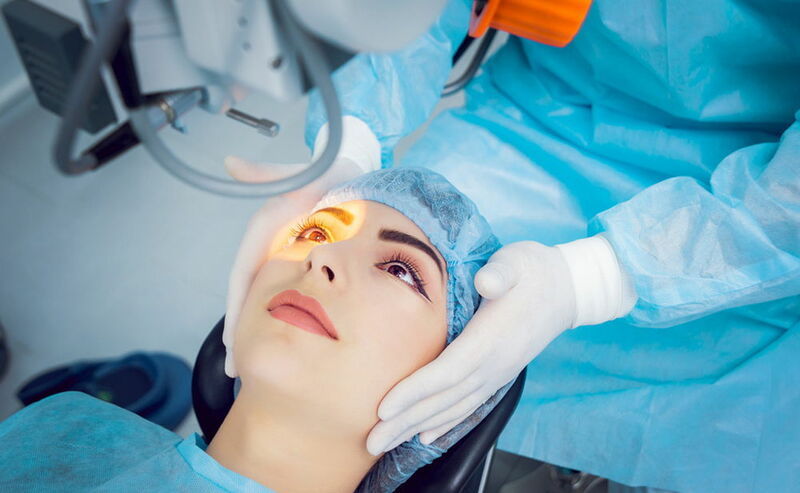 These clinics included education in glaucoma, anterior segment and corneal disease, pediatrics, cataract surgery and oculoplastics. Her expertise in contact lenses provides a great benefit to those who want freedom from glasses without the commitment of refractive surgery. She particularly enjoys seeing young people. Dr. Ramirez is fluent in Spanish and enjoys spending time exploring with her three children. "Love this place! Thank you so much!!! I highly recommend!" "I have gone to other doctors and I was always given hard contact lenses that I couldn't stand, I have Keratoconus so that's the only thing I could use. I though the only thing I could get is a cornea transplant but Dr. Ramirez and his wife informed me of a new contact lense that now I've had for 3 yrs and it's the best thing that I could have found. They are both such friendly people and I would recommend them to anyone!" "Very pleasant staff and office setting. Short wait. Dr. Ramirez and his staff are very professional and friendly. I have been very happy with my treatment and would recommend Buena Vista Eye Care and Dr. Ramirez to my friends and family." "This is one of the best physician experiences in El Paso. So dedicated and professional. This Office is very well run. Dr. Ruben Ramirez is a skilled surgeon with excellent patient interaction skills. Thank you!!"